There are many legitimate and excellent choices for timeshare ownership in Mexico. 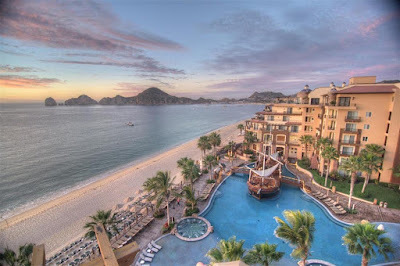 These days, there are many satisfied timeshare owners who are very happy with their purchase and enjoy luxury vacations at a variety of beautiful resorts located throughout Mexico. However, there are scammers out there who want to take advantage of timeshare owners and have developed fraudulent companies in hopes of convincing unsuspecting timeshare owners that they are in fact legitimate consulting companies. Read below so you can learn how to protect yourself from falling victim to timeshare scams. In the past, most people believed that the majority of timeshare scams were related to fraudulent timeshare companies that were selling timeshares illegally. However, today we have seen that scammers have taken a new approach to try to scam people of their hard earned money. They have started to go after current timeshare owners and offer them services where they claim they can resell or cancel their existing timeshare scam. Sometimes, they even offer to sell your old timeshare for you if you purchase a new, upgraded timeshare with their company. They may even claim they have a buyer ready to purchase your old timeshare. The biggest red flag that you are being scammed is that they require you to a pay a fee upfront to get the process going. Stay alert and beware of any companies who offer these services so you can protect yourself and your timeshare investment! The American Resort Development Association (ARDA) recently released an advisory warning of timeshare scammers that claimed to work in conjunction with its association. One fraudulent company in particular is working under the name of “Resort Consulting Advocates”. The advisory shared that the fraudulent company working as "Resort Consulting Advocates" scammed several timeshare owners by claiming to have interested buyers for the unknowing victim’s timeshare property. “Resort Consulting Advocates” even concocted false sale contracts which included a “100% guarantee” on the sale, but in fact they had no buyer and only charged the victim an upfront fee and then disappeared without any further contact with the victim. “Resort Consulting Advocates” is unfortunately only one of several timeshare scam companies posing as a legitimate company in order to convince timeshare owners to use their services. In order to avoid prosecution by the authorities, many times these companies change their company name in an attempt to avoid getting caught. As a result, timeshare owners are kept in the dark about who they are truly working with, and fall victim to these types of timeshare scams. Make sure you are very cautious anytime you are contacted by a timeshare resale, rental or cancellation company. It is very likely that these types of companies are run by scammers so you should avoid them at all costs. The safest way to protect yourself and your timeshare investment, is to only deal directly with the timeshare company you purchased from. Make sure to address any concerns or complaints regarding your timeshare ownership to a trained staff member and not involve a third party who may be working against you to try to take your hard earned money. Help! I’ve been scammed - what should I do next? If you believe that a timeshare scammer has contacted you, or you have unfortunately paid an upfront fee and found out too late the company was fake, make sure to immediately contact your timeshare company to alert them of the situation. This is a great way to help the genuine timeshare company to warn other members so they can avoid being scammed themselves. You should also contact the local authorities, the state attorney general and possibly even the Better Business Bureau to file an official complaint as well. This is the best way to prevent other innocent victims from falling prey to the same type of timeshare scam. The best way to prevent a timeshare scam from happening to you is to never pay an upfront fee for third party resale assistance related to your timeshare. Take your time and research any company that offers this kind of services because most are simply timeshare scammers only after your money. Always go directly to the company you bought your legitimate timeshare from, and never involved a third party who claims they can help you. By doing this, you will be safe from scammers and can protect and enjoy your beloved timeshare investment.